To see what’s going on at High Peak see our calendar of important events. We exist to Honor God in worship! We seek to honor God in a worship service without a lot of glitz or showmanship, but just simple and traditional worship that includes singing, testimony on occasion and Bible-focused preaching. We hope to take that worship with us everyday as we honor God in our jobs, at school, our in the community and wherever we live. We exist to Grow in His Word! We try to grow in his word. The word means Jesus, called the “Word” by the Gospel of John. It also means the Bible. We want to grow more like Jesus. Second it means that we want to not only grow more like Christ, but we want our community to grow larger as more people become disciples in our church. We exist to Love Others as Christ Loves Us! Finally, we love other people the way Jesus loved us. That means self-sacrificial, others-focused and Christ-like caring and fellowship. We will meet your needs if you really need something. We also love people outside our church by supporting things like the Morganton Outreach Center, Burke United Christian Ministries, the Pregnancy Care Center and other causes. When people are hurting we at least pray for them and often also give to them. I came to High Peak in 2007. Quickly this church took us in and loved us. At first, I believed they did this because many churches show care for their new pastor. They may not treat others with as much love and attention, but a new pastor is like a new gadget. We give it our attention all the time until it becomes familiar. We then settle into a routine. We learned that loving people is the standard way High Peak people treat one another. I’ve learned that High Peak just loves, whether they’re loving their new pastor or guests who come for the first time or people who’ve been around a long time! Our mission statement includes the phrase “loving others as Christ loves us”. While we will never perfectly love like Christ does, we learned what you will learn if you come and get involved with the High Peak Church community. People at High Peak take this part of our mission sentiment seriously. When a guest comes to worship on Sunday, they will feel welcome and important. We don’t boast a skillful group of people who do everything perfectly. Instead we boast people who want to Honor God in their talents and skills. They want to grow closer to Jesus by learning the Word and they will love you as they get to know you! Please come take part. People who chose to become a regular part of our church will also feel a part of things. Come to a Sunday school class. Sing in the choir. Attend our Sunday night prayer services. Join a Wednesday discipleship class. Doing any of these things will connect you to people in our community and you will begin to feel loved like no other church can. Here’s a 3D spherical image of our church Sanctuary. And here’s a side parking lot and the right side of our building. Phone: (828) 874-0164 or please call (828) 484-1463 if you don’t get an answer at the office number. Our pastor came to High Peak in 2006 with his wife Barbara and two sons Michael and Daniel. He loves to preach, counsel people, write about Bible software and technology for Christian Computing Magazine, his own personal website and a couple of other websites. Kevin’s a product of the midwest and graduated from Gordon Conwell Theological Seminary (D. Min. 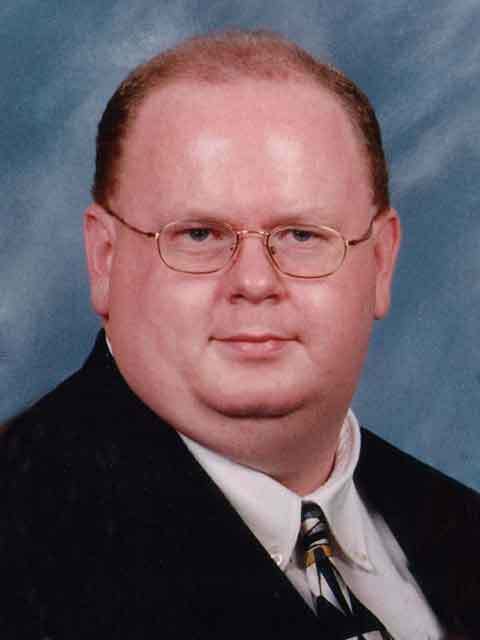 2005), Southeastern Baptist Theological Seminary (M. Div. 1998) and Georgetown College (B.A. in Religion and Philosophy 1991). Dennis began serving as the music minister at High Peak about thirty years ago. He loves the Lord and leads our choir and worship at High Peak with passion and joy. He and his wife Cindy have two grown daughters. They both also work in the banking industry. Cindy plays the piano during our worships services. Kathy and Dee Dee started leading our youth ministry team many years ago. Some of their first youth now have children in the youth group. They lead a program focused on discipleship and service above entertainment. They do like to have fun too. The youth enjoy Sunday school, Sunday Night classes for discipleship and Wednesday night Bible study and missions education. Kathy works at a law firm, is married to Ronnie and has two grown children and a few grandkids. Dee Dee’s son is in college and her daughter is in the youth group. She’s married to Harry. Mandy and Marie lead our kids with a lot of fun activities, service projects, entertaining and worshipful Christmas programs and lots of outings to help the kids love coming to church. They also disciple our children with joy and dedication during Sunday night classes at 5:00 p.m..
Mandy works for the North Carolina School for the Deaf and Marie is an accountant. Mandy’s daughter actively participates in our church’s food ministry. She is also married to Steve and she organizes our nursery care. Marie helps out with our technology team. Sean just started serving as our outreach and discipleship team leader. He loves God’s word and passionately leads our Thursday Bible study time and our older men in Sunday school. He loves people and wants them to enjoy a great relationship with Jesus. Sean also works for the Town of Dallas. He’s married to Deborah and has three grown children.